I have been hearing only good things on the grapevine about Osmo products for a long time, however when you have found a finish that works for you it's all to easy to stick with it. While on a trip to a supplier to pick up a few litres of my preferred brand of oil, I found that they had started to stock products by Osmo. Flicking through the product bumf one line jumped straight out at me 'No need to sand between coats'. Personally for me the worst part of any finishing prosses is the rubbing back. Not only is it mind numbingly boring but there is all that wiping down of the resuedue dust, which if not done effectively can ruin the quality of the finish. I decided to buy a small 750lt tin and try it out. 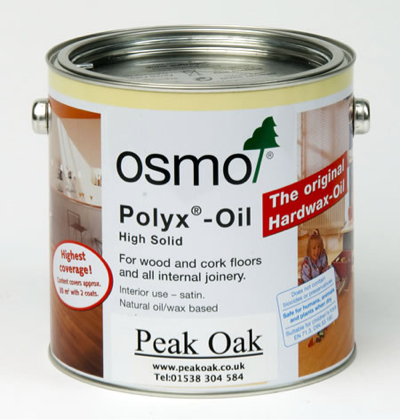 Manufactured in Germany, Osmo's Polyx oil has very environmentally friendly credentials, being chiefly made from vegetable raw materials including Carnauba and Candelilla wax and Sunflower, Soybean and Thistle oil. But don't let it's natural ingredience fool you as Polyx is resistant to wine, beer, cola, coffee, tea, fruit juice, milk and water while being safe to humans and animals. When applied Polyx oil penetrates the timbers surface leaving a microporous surface which will not crack, blister or flake. And becouse their is no sanding between coats, if you need to make a repair to the finish at some later stage there is no problems with colour change, just slap it directly on to the original coat. I applied the oil with a long synthetic bristle brush. The consistency feels very different from a Danish oil, more like a thick Linseed. You are advised to keep the coats thin and allow at least eight houses in normal conditions before applying the next. As recommended I only applied two coats, with no rubbing down between. When dry I went to town testing the finish with everything from hot wet tea cups to kitchen cleaning chemicals, and I have to say the Polyx oil proved incredibly tough. I felt guilty looking at the deep shine produced when I reflected on what little effort I had put into it. The oil had great coverage too, the small tester pot I originally brought almost was enough to finish the internal carcasses of a kitchen going through the workshop currently. I'm now keen to try out a few of the other Osmo products, and will try in future to be a little more inquisitive. 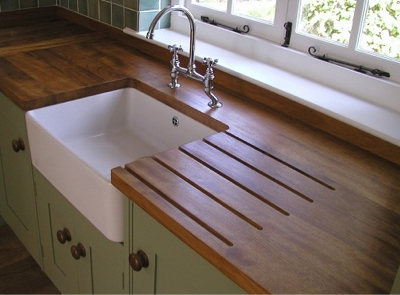 Thanks for taking the time and sharing your experience using Polyx Oil - the finish looks great in your photo and I'm very nearly sold on using this myself but I can't help wondering if their other product, TopOil, is a better choice as they aim it specifically at worktops - have you by any chance given it a try?